Golfing group for ex-pats and English speaking Japanese living in Japan. 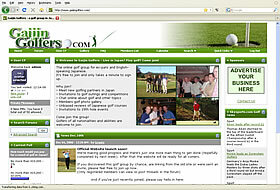 Overall, I was very pleased with the work done by Website Design Japan. The project was completed well within the expected timeframe and the site's looking great. Even though the site has only just launched, several users have already commented on how much better it is than our old one. Thanks for all your hard work Jeremy!